White Tea has become a victim of its own popularity. Either through ignorance or gross commercialism, most tea brands have opted to take advantage of consumer seeking white tea by offering ‘white tea’ blends containing only a minute proportion – usually less than 2% - of white tea. White tea is a subtle and very refined experience. It is also amongst the most expensive types of tea. Mixing white tea with even a minute proportion of green, black or oolong tea would destroy its personality and character. These blends are unfortunately white tea by name only and lack the purity, health benefits and sophistication of Real White Tea. Some brands have opted to feature real white tea on their packaging, and pack tea that is very different in appearance inside the bags. This is unethical, and a corruption of the wonderful and ancient heritage of tea. The images shown here feature Real White Tea from Dilmah and blended ‘white tea’. They are clearly different. As tea growers and a family devoted to tea, it is important for us that you know and appreciate the real thing. 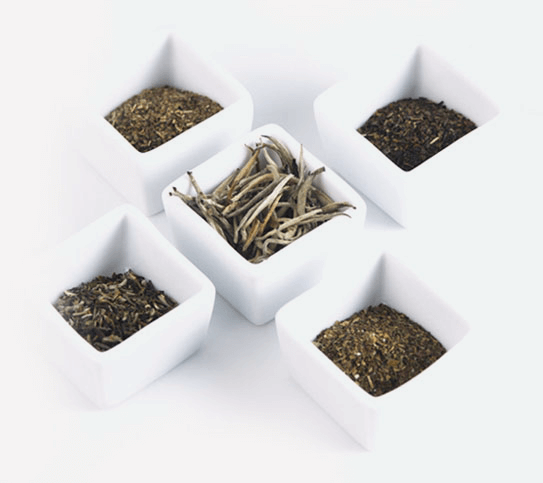 We hope that through the information on this site, you will be able to recognize genuine White Tea, and whether it is from Dilmah or not, we hope you can share with us the Luxury of White. Dilmah White Tea consists of 100% Pure White Tea (Sliver Tips). TO ensure that tea drinkers experience the perfect white tea, Dilmah presents these teas in a unique Luxury Leaf Tea bag, a boutique teabag into which Dilmah pack the long buds of Silver Tips. The Luxury Leaf tea bag gives tea drinkers the convenience of a teabag with the luxury of tea. The new bag protects the buds, providing ample space for them to brew as they expand when immersed in water.